This map contains territory of Russia. interesting map of Kholm this. interesting map of Zaytsy calibrated for Garmin. interesting map of Zakhar'ino и OziExplorer calibration presented. detailed map of Zagor'ye this. interesting map of Zaborinka 1 cm to 1 km displayed. detailed map of Yurinki и OziExplorer calibration for Garmin. detailed map of Yamishchi 1 cm to 1 km presented. 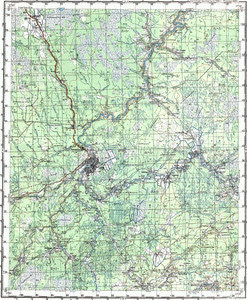 topographic map of Vystavka here. map of Volesova calibrated presented. map of Vasilevo 1 cm to 1 km this. detailed map of Stifonovka calibrated here. free map of Staryye Ostsy и OziExplorer calibration download for free. free map of Sredneye Zabor'ye for you. free map of Sopki download for free. topographic map of Solov'i calibrated free download. interesting map of Skaruyevo here. topographic map of Shershnevo 1 cm to 1 km here.